Let your ticket system help you to keep on top of your promises to your customers! 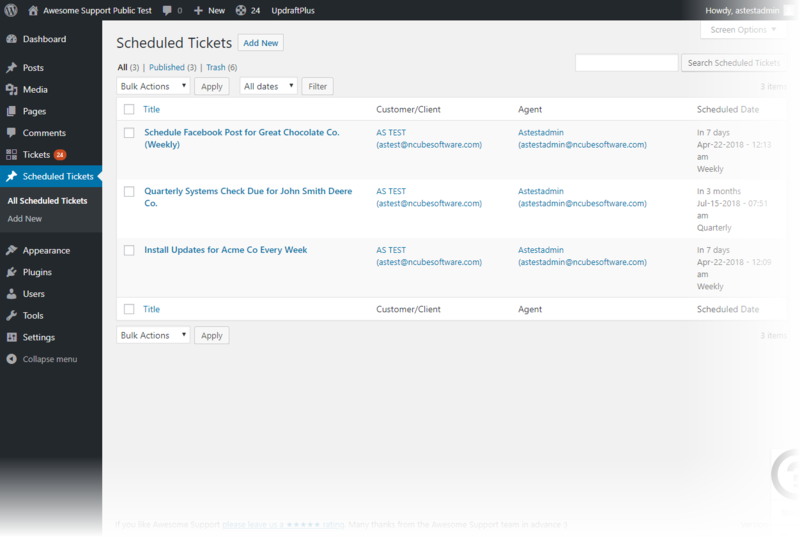 Scheduled tickets can be created with pre-set priorities and statuses as well as other select custom field attributes. 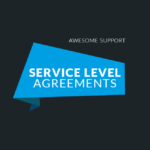 Additionally, you can pre-select the agent responsible for the ticket – which works really well when you have agents that are always assigned to certain customers. So if you ever make promises to customers to get things accomplished in the future, you should pick up this extension today! New: Added a list of tickets that were created from a template directly to the bottom of the schedule ticket post-type template screen. Fix: If customer id is zero in the scheduled ticket show "(none)" in the ticket list instead of generating an error. 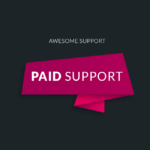 New: Added support for custom status add-on. 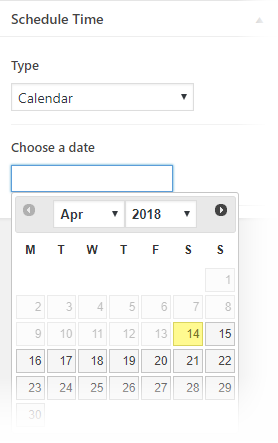 New scheduler requires you to update and re-save your scheduled tickets! 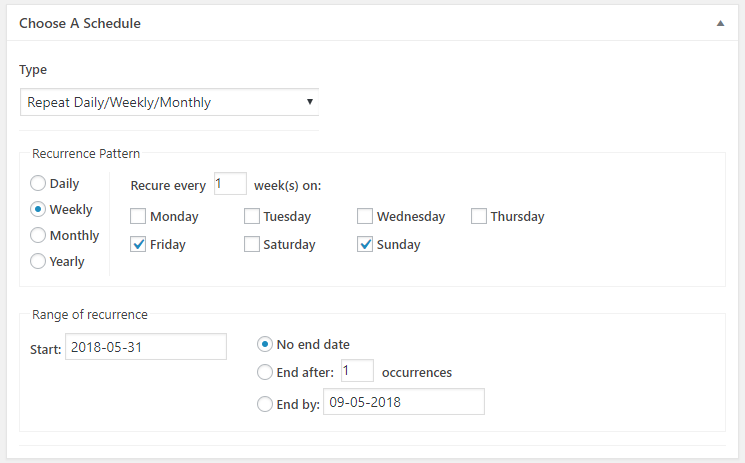 Complete revamp of the scheduler options. More options, more flexibility!